We're ready for some answers. Glitch, the ABC’s sci-fi/horror series set in country Victoria, is a show that relies on mystery and surprise, in the vein of other genre series like Lost and Twin Peaks. It’s dark and packed with mysteries, very few of which are resolved at the end of the first season. In Glitch, a group of dead residents from Yoorana, an old gold-mining town full of secrets, rise from their graves and come back to life — not as zombies, but as real people who are struggling to remember who they were and how they died. They return to the fictional Yoorana and slowly recover their memories while trying to unravel the mystery of why and how they’re back, and how to be alive again. The ‘people returning from the dead’ concept isn’t particularly novel, but Glitch is uniquely, intriguingly different. 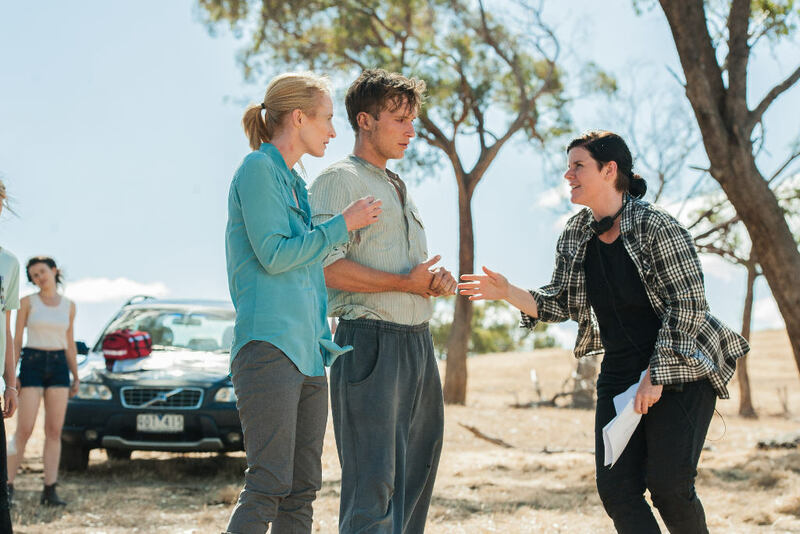 In the first season, creators Tony Ayres and Louise Fox spun an intricate web of captivating storylines, characters and relationships, all taking place in the languid, evocative Australian landscape. The first season was a very slow burn, ending with very little resolution. With a two-year wait between seasons, I was expecting some answers. Much of Glitch’s atmospheric appeal is down to where it’s set. Yoorana is fictional, but it’s also deeply familiar to any Australian, whether you’ve lived there or just passed through on a family road-trip or school excursion. It’s the country town that has an excellent bakery, an old pub and an assortment of semi-historical landmarks. Glitch takes the familiar and infuses it with the strange. You may have watched a dozen European and American shows about the undead, but nothing quite like this. 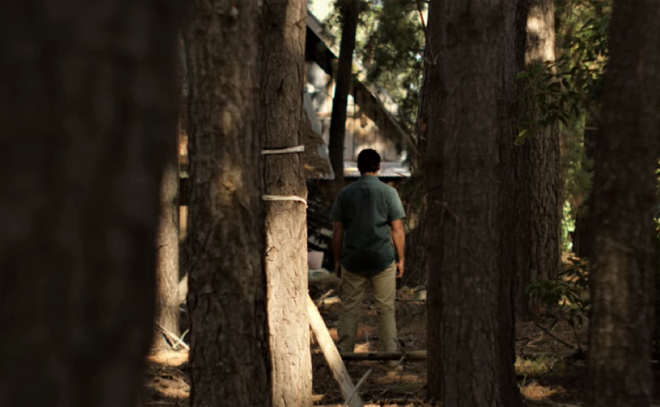 The regional setting (exteriors were filmed in Castlemaine) gives the show a tangible sense of place; the sound of bird calls and rustling dry grass, the possum in the rafters, the dust that the car kicks up—all little details that make the series feel more real and closer to home than any other show I’ve watched. The heat of the landscape is oppressive and palpable—the setting is not just backdrop, but essential to the show’s Australian Gothic feel. Just as Southern Gothic uses fantastical or magical elements to address the myth of the idyllic antebellum South, Glitch uses resurrection to literally bring the past into the present to explore a range of societal, racial and cultural issues in Australia. Glitch combines this strong sense of place with its carefully drawn characters. Among others, there’s Paddy, the first mayor of Yoorana, who fell in love with his Aboriginal servant Kalinda; Charlie, the quintessential Australian war hero who saw his love killed on the battlefield; and Kate, who recently died of breast cancer. Each of them has a backstory that slowly, tantalisingly unfurls, compounding mysteries that go (sometimes infuriatingly) unsolved. Now, with characters established and the essential mythology built, the second season feels markedly different. Unlike the first season, which possesses a melancholic, almost dreamlike quality, this season is more solid, doubling down on the Noregard conspiracy at the centre of the Risen residents’ plight and ramping up the stakes. Now the focus is less on the past and more on the present. We still revisit the Risen’s histories through flashbacks, but they’re less about character discovery and more about driving the plot forward. And the show adds to its stellar lineup with three new mysterious, potentially villanous characters, all with more secrets to share. So, do we get answers? This season certainly picks up the pace, giving us more in the first three episodes than in the entire first season. However, Ayres and Fox seem to relish leaving their audience in a constant state of tension, and are not particularly interested in providing neat resolutions. As in the first season, every answer only opens up more questions and more potential directions for the show to explore. Australian fans of genre television, myself included, generally don’t watch a lot of local genre shows. It’s not for lack of trying – there just isn’t a lot of recent Australian television that isn’t comedy, drama or reality TV. (Notable exceptions include the thought-provoking Cleverman and delightful Wizards of Aus.) So Glitch is like a breath of (spooky) fresh air. Australian viewers are practiced at identifying with American backdrops as a default, but bringing the undead to regional Australia grounds Glitch, making the series that much more spooky and gothic. 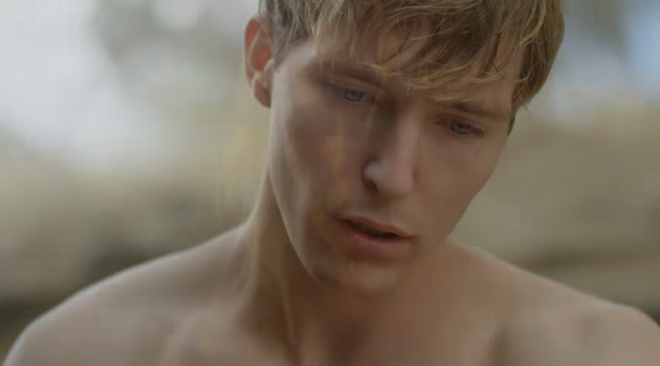 There is a strong connection between the Australian land and the past, most noticeably embodied by Beau Macrae (Aaron McGrath) and his family, the descendants of Paddy Fitzgerald and Kalinda. Paddy wants his colonial mansion to go to the Macraes, but his “legitimate” descendants (rich, blonde, entitled boys who act as a counterpoint to the softly-spoken, reserved Beau) refuse to hear the case out. The landscape, once wild and promising, becomes another noose around the necks of the Risen. At the same time, Paddy’s conscience isn’t exactly crystal clear – a flashback shows him dragging Kalinda out into the field to belt her, only stopping when he gets bitten by a snake. Kalinda uses traditional medicine to save him, kindling their doomed romance. Paddy’s initial treatment of Kalinda makes it clear that he’s not some sort of hero, but a flawed product of his time. Bringing Paddy from the past to the present reminds us that Aboriginal people continue to be disadvantaged on their own native lands. And, as a neat metaphor for the way small, rural towns can sometimes feel oppressive to those trapped within them, the boundaries of Yoorana are shrinking. 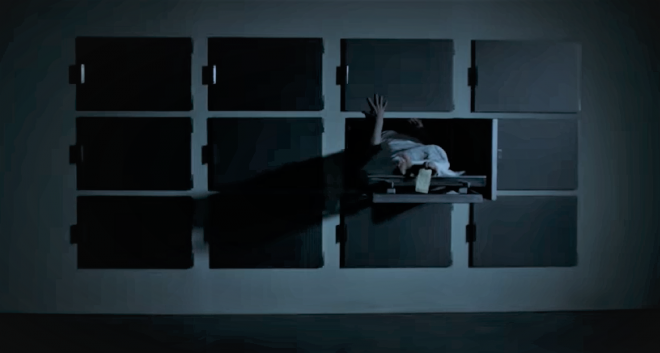 In the first season, the Risen are confined to the town’s invisible boundaries; stepping beyond them makes them physically sick, blood streaming from their eyes. Crossing the boundaries reduces one of the original Risen, Carlo, to dust. 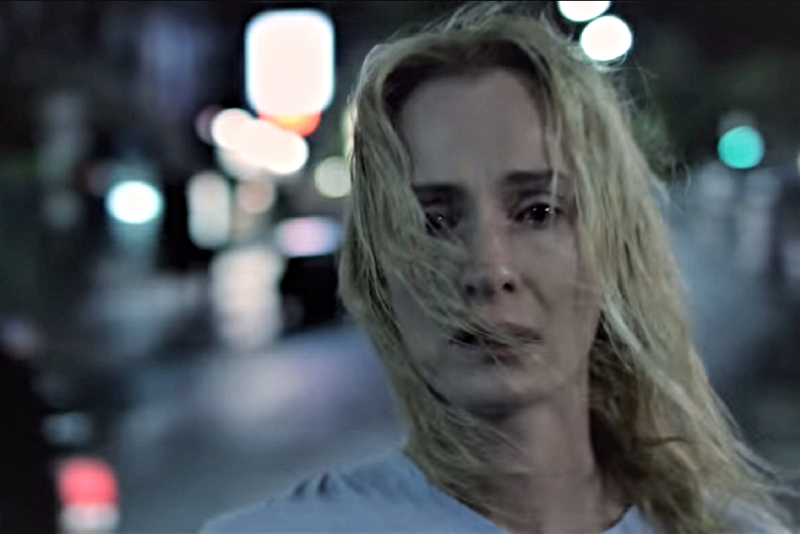 In season two, the boundary is slowly retracting, threatening to strangle the Risen and return them to death, adding a sense of urgency to the characters’ machinations. The landscape, once wild and promising, becomes another noose around the necks of the Risen. While there are plenty of horror films that make effective use of the Australian landscape and its desolate danger — the bleak, desolate terror of Wolf Creek springs to mind — there isn’t much in the way of Australian genre television that truly embraces the landscape in the way that Glitch does. Glitch is a game-changer: boldly rejecting the idea that science fiction and fantasy is something that happens just in culturally neutral America, as we’re so used to seeing. Instead of relegating the Australian elements of the show to the background, the showrunners actively embrace the iconic Australian landscape, rather than going for cheap, obvious thrills — there are no monster sharks or guys running around in khakis. Instead, the creators depict the bush and Yoorana with nuance and care, drawing on Australian history and culture to inform the landscape and the broader show. Glitch draws on the symbolic and physical power of the Australian landscape, a show very much a product of where it is set. But that’s not a weakness, it’s a strength. In doing so, the audience can see their own country, in all its beauty and danger, anew. And Australians can start to imagine science fiction or fantasy, not just in America or in the distant future, but in our backyards. Glitch season two is now available to stream in full on ABC iView. You can catch up on season one on Netflix.